Connie Challingsworth, Founder of Positive Life Decisions, LLC, is a certified life, career and retirement coach. Her passion is helping women at mid-life and beyond to discover their passions and design a plan to make the rest of their life the best of their life. 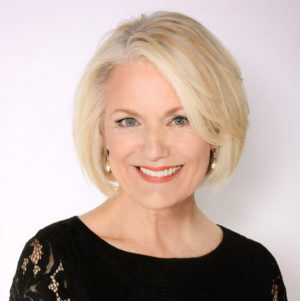 Connie holds a degree in psychology and the following certifications accredited by the International Coaching Federation: Life Coach; Career Coach; Retirement Coach; and Emotional Intelligence Facilitator. She has more than 30 years’ business experience, most of which was spent in the pharmaceutical industry. She is Past President of BW NICE Lehigh Valley Chapter and serves on the Board of Trustees of BW NICE, Inc. (Business Women Networking Involving Charity & Education) and on the Executive Committee for The Red Shoe Luncheon & Fashion Show charity event to benefit a women’s shelter. Connie also serves on the Board of Directors of Lehigh Valley Active Life Senior Center. She is a trained speaker through the National Speakers Association Speaker’s Academy and Toastmasters International. In her spare time, Connie and her therapy dog, Tyson, visit hospitals, nursing homes and anywhere there is a need for comfort and joy.